Ferries to and from Heraklion are operated by Minoan Lines, Blue Star Ferries, Anek Superfast, Sea Jets and Hellenic Seaways. You can book tickets for these routes online easily with AFerry.Below, you can find all the Heraklion ferry timetables, journey times as well as our best prices. Minoan Lines operates a modern, well-equipped fleet of ferries which offer passengers a wide range of facilities. On board you will find full and self service restaurants, internet access rooms and shops. On some ships you may also find a summer time swimming pool, bar, disco and even a gym. Anek and Superfast have combined to form a company called Anek Superfast with a fleet fleet of 15 magnificent modern air-conditioned ships all offer a full range of facilities on board. You can choose from a range of inner or outer ship cabins with two, three or four beds and on Anek Superfast Italy-Greece routes you can even choose a deluxe cabins featuring a sitting room and TV and Internet access. Hellenic Seaways is one the best known Greek ferry companies. In addition to conventional ferries, the company also runs catamaran type vessels and fast ferries which can often be up to 50% faster than conventional ferries. This means that you can island-hop across the Greek islands and have even more time to enjoy your destination. You will find their ferries are modern and provide a full range of facilities on board. Sea Jets operate three vessels, the SeaJet2, the MegaJet and SuperJet. All their ferries are fast and provide good connections between the different islands and the Greek mainland and any journey with this company will be an easy and relaxing experience. Whatever route you choose for your Hearklion ferry, you will always find a great deal with AFerry. Heraklion is the capital city in Crete with a population in excess of 120,000. 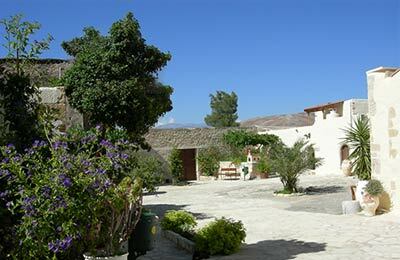 It is the centre of commerce on the island and is also the main port of entry to Crete for the majority of visitors. Crossings are available to Piraeus on the mainland of Greece, as well as to several Greek Islands. Heraklion and its ferry port are situated almost in the center of Crete's north coast, where the most important cities, and the biggest part of financial and all of the transportation activities have developed. Heraklion ferry port has extensive facilities to cater for all needs of its visitors. Inside the port area but also within walking distance of the port you will find many shops and restaurants, travel agents and tour operators. There are also numerous hotels ranging from luxury class to small rent-a-room and youth hostels nearby. Parking is available at the port for both the short and long-term, with designated areas available for those with disabilities. Heraklion ferry port is located almost in the center of Crete's north coast and can easily be reached by car. 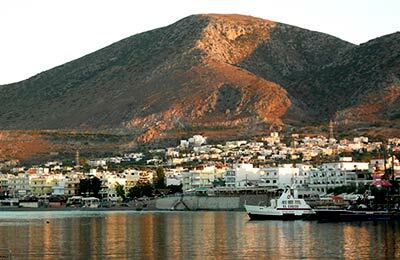 Coming from Agios Nikolaos, take the national road and drive towards the west, which is the quickest way to reach Heraklion and then follow the signs to the ferry port. From within the town of Heraklion drive towards the north or along the sea side and follow the signs to the port. Driving from Rethymnon or Chania to Heraklion, take the national road, drive towards the west and follow the signs. Regular bus services from the east and west coast arrive at the bus station very close to the ferry port of Heraklion. Taxis are reasonably priced in Greece. Several radio taxi companies are available in Heraklion and elsewhere in Crete so you can easily pre-book your transport to Heraklion port.